One of the greatest car marques, Lancia is admired by motor enthusiasts everywhere, described by ‘Car’ magazine as the world’s most individualistic motor manufacturer. problems. During his short life (he died at only 55) Vincenzo produced a stream of unique designs, among which notable masterpieces included the Lambda and the Aprilia. After his death his widow and son took over the company, but they had to sell it to a cement tycoon called Pesenti. He was also unable to make a profit, selling out in 1969 to Fiat, who maintained the unique ethos of the marque. Lancia; The very name evokes a finely-honed hand-crafted creation, a sleek, sharp lance. To quote Autocar magazine; ‘One of the magic names in the enthusiast’s dictionary of cars that matter’. 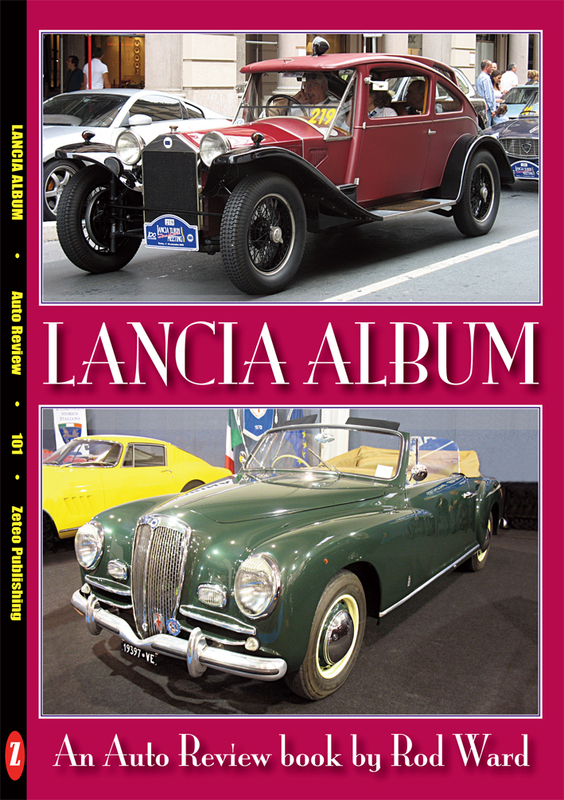 On another occasion the same magazine stated that ‘Lancia appeal owes a lot to the undoubted mystique and kudos of the name, but it is backed up by typically Italian qualities and generally sound engineering’. Among countless other quotes, in 1966 Bill Boddy declared in Motor Sport that ‘Lancia of Turin have never made a really bad car’. Could this claim be made of any other car manufacturer in 1966? Many British car enthusiasts had a soft spot for the Lancia marque, so it was a disappointment when Lancia withdrew from the UK market after an over-reaction in the popular press to a corrosion problem with the poor quality steel specified by Fiat for the new Beta. Fiat compensated all Beta owners affected, but the damage was done. Interesting Lancia cars and commercial vehicles continued to be made, but in 2014 it was announced that the Lancia brand would only be applied to certain cars sold in Italy.